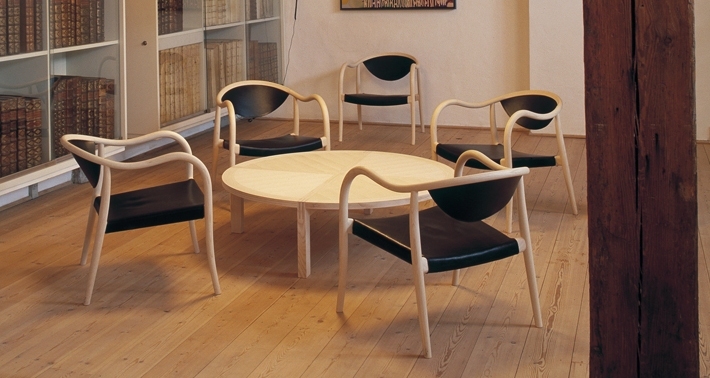 The PP 911 Slow chair was designed by Søren Ulrik Petersen in 2000 for PP Møbler. 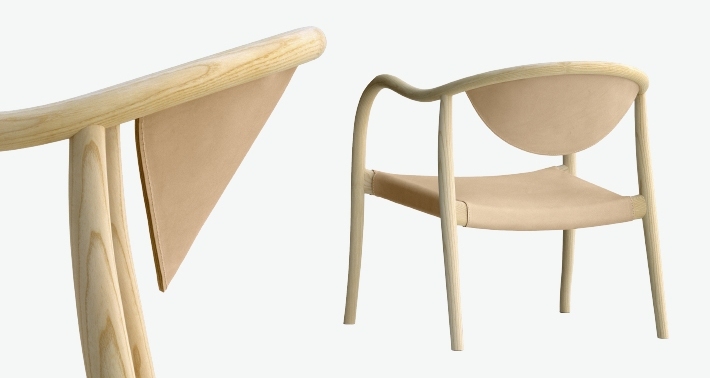 The general impression is light and easy – quite unlike a traditional ’heavy’ armchair. And the simple construction provides surprisingly excellent comfort. As the name implies, it invites one to sit down and let time pass a little slower – and it works! 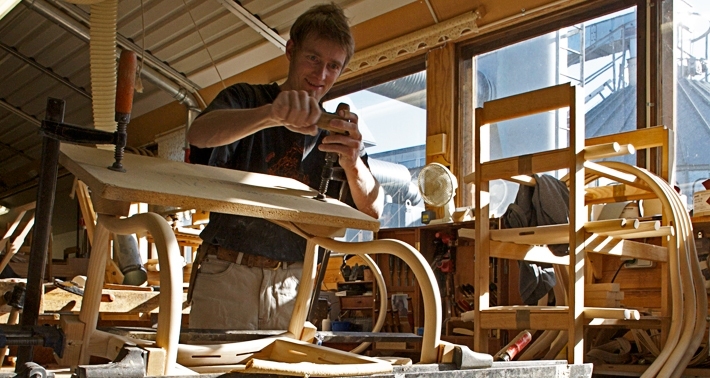 The dominant element is the long bent pole constituting front legs, armrests, and back. 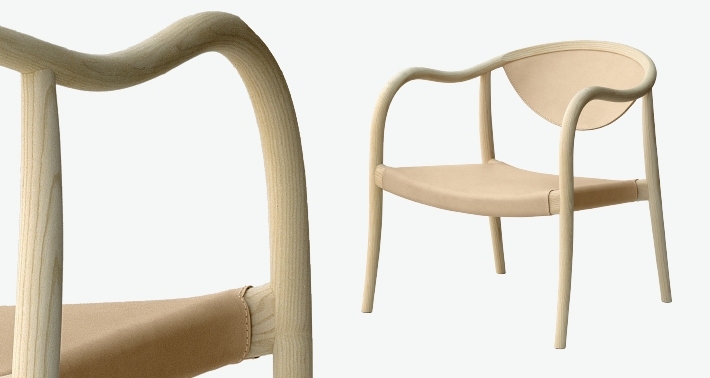 A craft-wise difficult detail which ads an extra dimension to the chair’s aesthetic expression.